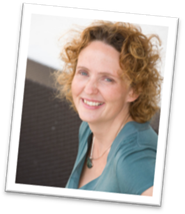 NIMBUS tips: OneNote - what do you do with yours? OneNote - what do you do with yours? If you are using Office 2007 or 2010 you have probably noticed a purple icon for an application called OneNote. I'm always surprised how many people I speak to haven't even clicked it to see what it is. After all, you’ve managed without whatever it is so far and you just don’t have time to figure out what it does. So what is it? OneNote is a project planning tool (which is very different from a project management tool). It works like having an electronic notebook or scrapbook. So whatever your project is – organising an event, writing a report, developing a new product – you can use OneNote to help. And with many smartphones now having OneNote apps available, you can access your notes wherever you are. Each OneNote notebook is made up of tabs along the top which you can use for your main categories, then pages down the side for your content. All of your OneNote notebooks are shown on the left hand side so you can easily switch between them. Your content doesn't have to be just words; you can add pictures, links, drawings, emails or entire web pages. You can create to-do lists, jot down thoughts and questions, just about anything! You can place content anywhere on the page - you are not restricted by lines and columns. OneNote integrates with other Office applications: you can link an Excel spreadsheet, Word document or Visio drawing into your notebook. If you receive an email relating to your project you can click the OneNote button on Outlook's ribbon to copy it to OneNote. The print menu in all Microsoft Office applications has an option to send to OneNote - this places the content in your notebook so you can annotate it easily. When you create a new OneNote notebook you choose a location to save it. Saving it to an online location will allow you to edit it on the move as well as sharing it with others that may be working on the same project. Once you've created it, the notebook is live - changes are saved as you make them so there's no need to keep pressing the Save button. 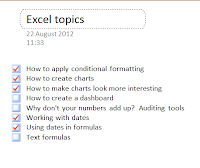 I use OneNote to organise this blog. I have tabs for each category - Word, Excel, etc. 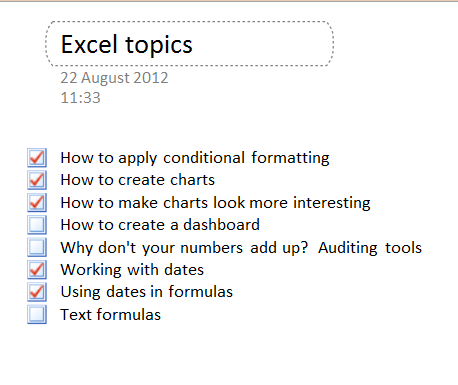 and within each tab I have a Topics page, containing a checklist of topics I have thought of for that application. I then create pages for each topic as I write it and tick them off on the checklist when they are completed. 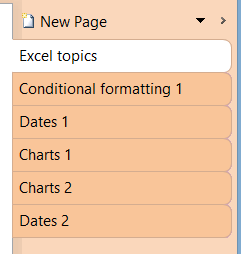 If I find interesting articles on the web that I think I may want to write about I can send the page to OneNote and place it in the relevant section. So when are you going to start using it? I'm always amazed at how few people use OneNote or even know that it exists. Every now and then I find someone that does use it and they don't know how they ever managed without it. OneNote is incredibly versatile and is a great tool to help you plan any project, business or personal, and tie together all of your Office applications. There are so many things it can do, and so many ways to use it, I could write about it all day! Instead of that, why don't you open it up and take a look? You should find a notebook already there called OneNote Guide which explains all the features and gives you ideas for how to use them. As always, NIMBUS solutions is here to help too. If you want to know more about using OneNote or any Microsoft Office applications please get in touch.